The Channel Islands Securities Exchange has introduced new rules that it says will enable so-called special purpose acquisition companies, or SPACs, to be listed on the exchange for the first time. In a statement announcing the new facility, the Guernsey-based Channel Islands exchange (CISE) noted that the SPAC “is growing again in popularity, as international markets recover from the global financial crisis”. The CISE also has an office in Jersey, the Channel Islands’ other major financial centre. A SPAC is a cash shell which is used to raise money for a specific investment objective, such as investing in businesses in a particular sector. Other exchanges that currently offer listed SPACs to their investors include the London Stock Exchange (both the Main Market and AIM), NASDAQ and the Johannesburg and Toronto stock exchanges. A recent example of a SPAC that captured investors’ imagination in a big way was an investment vehicle aimed enabling investors to benefit from the Gulf’s rapidly-expanding healthcare and education markets, called Amanat Holding, which a Dubai-based private equity house launched onto the Dubai Financial Market last November. The offering was heavily-oversubscribed at the time it was launched, possibly helping to explain why the share price has yet to return to its IPO level. 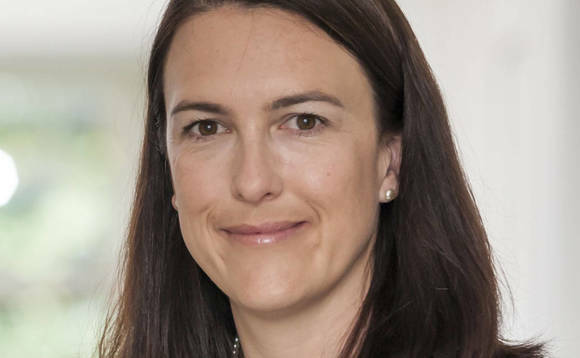 Earlier this month the company announced a net profit of AED7m (US$1.9m, €1.8m) for the nine-month period ended on 30 Sept.
Fiona Le Poidevin, CEO of the CISE, (pictured), said the stock exchange’s SPAC rules had been designed to be commercially attractive for management teams, while at the same time offering “robust integrity” to investors. “We expect that this, combined with our competitive fee regime, will mean that they prove attractive in the marketplace,” Le Poidevin added. Among the benefits for listing a SPAC on the CISE, according to the exchange, are a low minimum market capitalisation requirement; a 36-month timeframe for an acquisition; and a “competitive and transparent fee regime”. In an informational note earlier this year, Collas Crill, the cross-border-focused law firm, noted that it was also seeing “greater interest than ever before” in the use of SPACs. This, Collas Crill noted, represents a change from the not-so-distant past, when, “through no fault of their own”, the vehicles came in for some negative press. They began to fall out of favour after Nat Rothschild launched a £700m, LSE-listed cash shell, Vallar, that subsequently was hit with problems after it morphed into what became known as Asia Resour ce Minerals, and, in June, ended up announcing plans to sell his stake. SPACsare particularly well suited “to industries where there is an unknown element of risk associated with the target assets”, because of the way they are set up, , Collas Crill said. More than 2,000 securities, with market capitalisation upwards of £300bn, are currently listed on the Guernsey-based CISE. The exchange also lists trading companies, investment vehicles and specialist debt entities, as well as funds.